Returning From Duty, Finding Families' Embrace For Navy Lt. Mark Radlinski, coming home from Iraq was both the best and worst day. But his brother had no mixed emotions — it was all positive. When Felicia Banks deployed with the Army, her children were not as aware of what was going on. They knew they were thrilled to have her back, though. 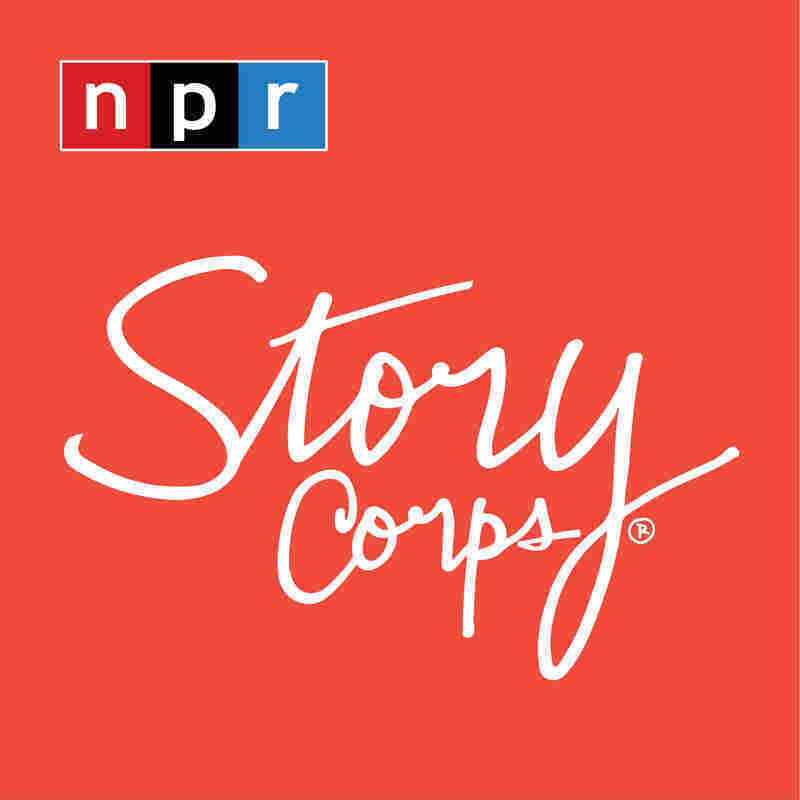 StoryCorps' Military Voices Initiative records stories from members of the military who served in Iraq and Afghanistan. Many of the participants in this project have been speaking about being separated from their loved ones. This week, Weekend Edition is featuring two stories of families reuniting after deployment. Both of the Radlinski brothers served in the Navy. 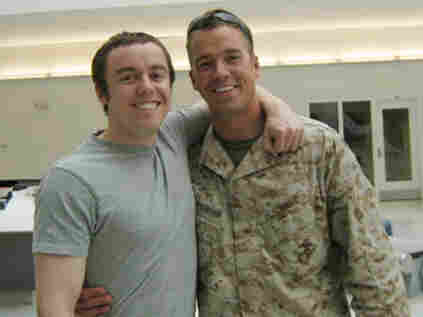 Luke deployed in 2001 to the Persian Gulf in support of the conflict in Afghanistan. His brother, Mark, went to Iraq in 2006. But just before Mark left, the two brothers had a fight and parted on bad terms. "I finally said, 'What am I doing? He's in Iraq, for God's sake,' " Luke recalls. He sent his brother a long email, and their relationship picked back up. "And then I went through other personal issues — getting divorced and everything," Luke tells his brother. "And here you were, getting shot at, and helping me out through that time. That meant a lot. And when you came home, that day, if it's not best day ever, it's top five days ever." But for Mark, getting off the plane felt like both the best and worst day ever. "You hear all these people clapping for you. I don't want to say you don't feel worthy, but I'm here — 10 fingers, 10 toes, two legs, two arms," he says, "and I felt like I didn't deserve this kind of reception because you left a lot of guys, gals back down range." It took Mark a couple of months to readjust to civilian life. "I still remember walking into Banana Republic with fatigues and buying clothes and just being like, '36 hours ago I was jumping on a Black Hawk.' It was just bizarre. It didn't feel like home," he says. "I tell you, for the first three weeks after I got back, I was looking at every opportunity I could find to go back down range." Luke is very glad his brother did come home. "That's why I still look back at that day in late March of 2007 and think, best day ever," he says. Chief Warrant Officer Felicia Banks deployed to Iraq in 2005, leaving her two young children behind. Talana is now 9, and her brother, Willie, is 12. "I remember that morning when I left, it was probably one of the hardest things I've ever done. And I just prayed that we'd be together again," Felicia says. 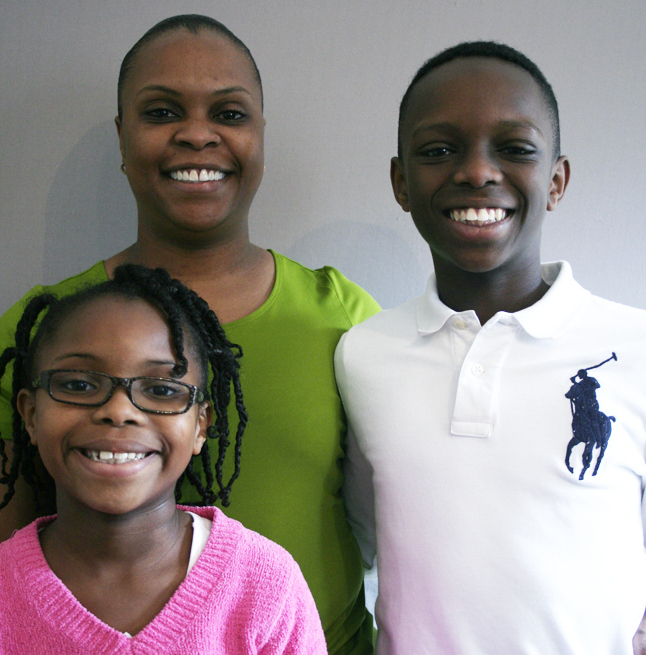 Talana and Willie with their mother, Felicia Banks, who served in Iraq in 2005. Willie tells his mother he initially thought she was just running an errand, but then, he says, "I noticed you weren't coming back." "I probably did a poor job of explaining to you where I was going and what I was up against," Felicia tells her son. "But at your age, you shouldn't have to worry about me. I'm the one that's supposed to worry about you." Talana is upset her mom did not come back for her two weeks of "rest and relaxation." Felicia thought it would be too disruptive and decided to stay away for the whole year continuously. When she did finally return, it was a big day. "I got really excited when I saw you coming toward us. I got the biggest hug in the world," Willie says. "And I didn't know if you were going to leave again or not. I was just happy to see you." Talana didn't know who her mother was at first. "I remember the look on your face when you realized who I was. Your eyes got really big, you just started ... hugging me, I think you were choking my neck," Felicia says. Talana says she's proud of her mother for serving the country, but she prefers having Felicia home.